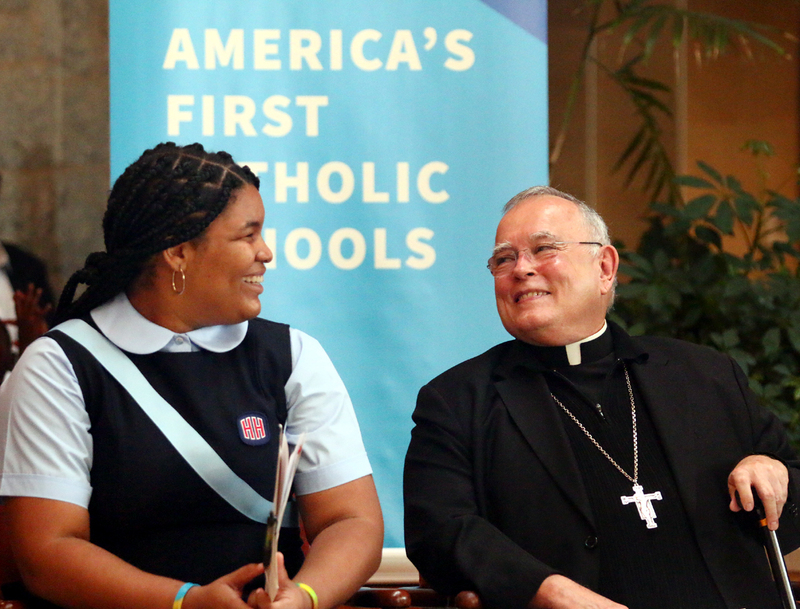 Archbishop Charles Chaput enjoys the company of a John W. Hallahan High School student during the Catholic schools’ kick-off rally. 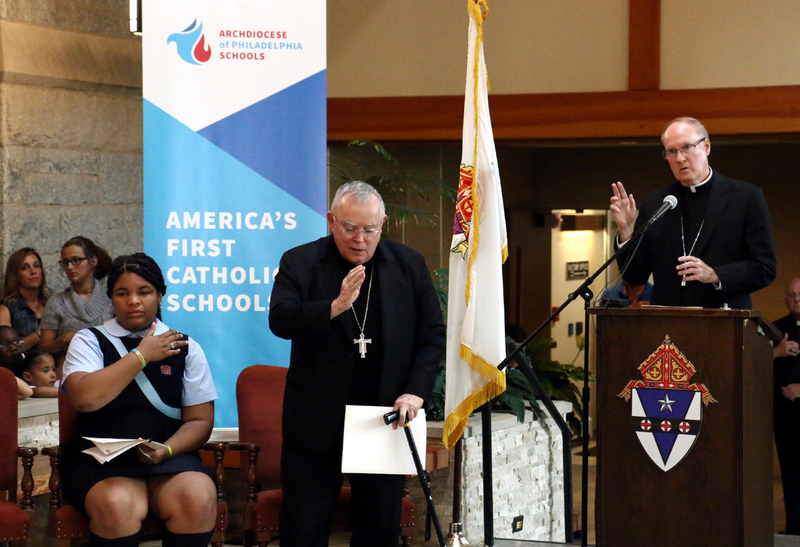 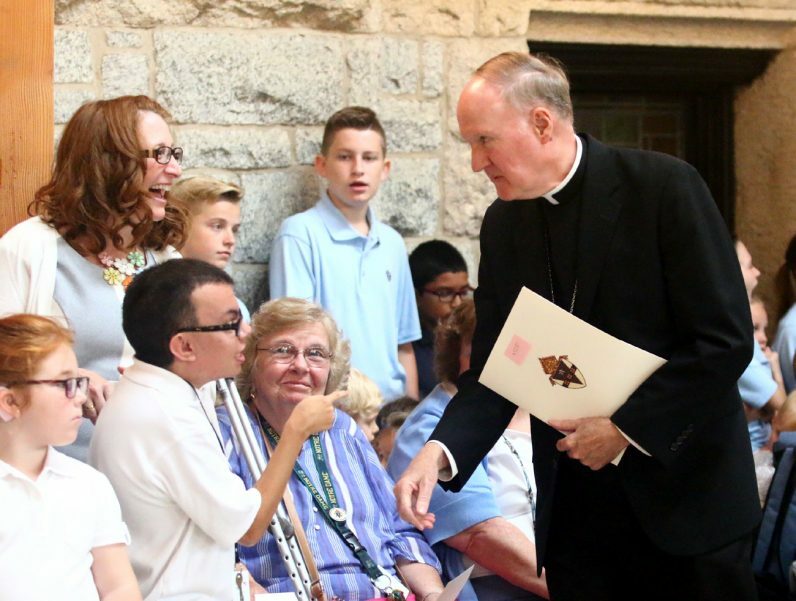 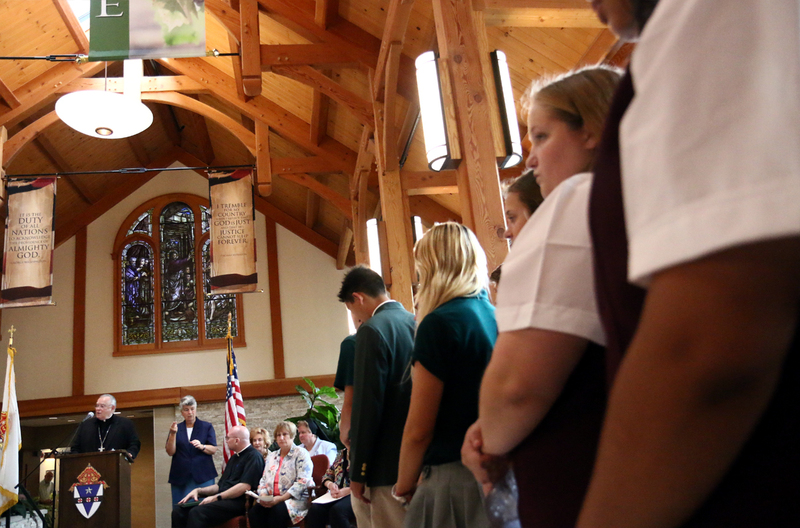 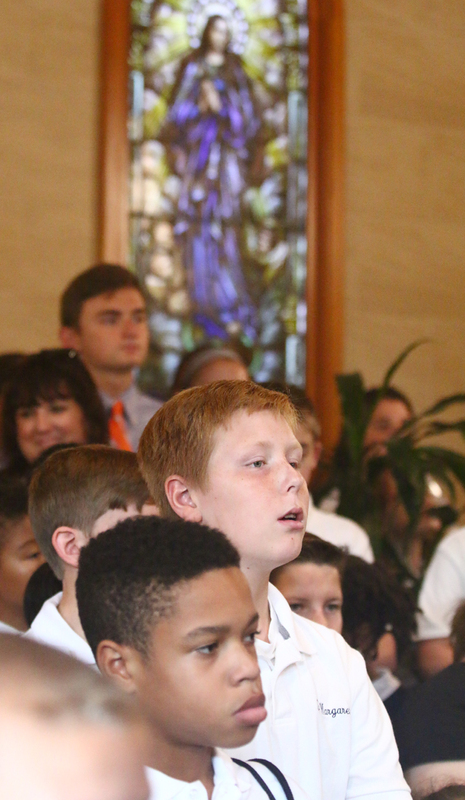 Bishop Michael Fitzgerald, who oversees Catholic education in the Philadelphia Archdiocese, greets students. 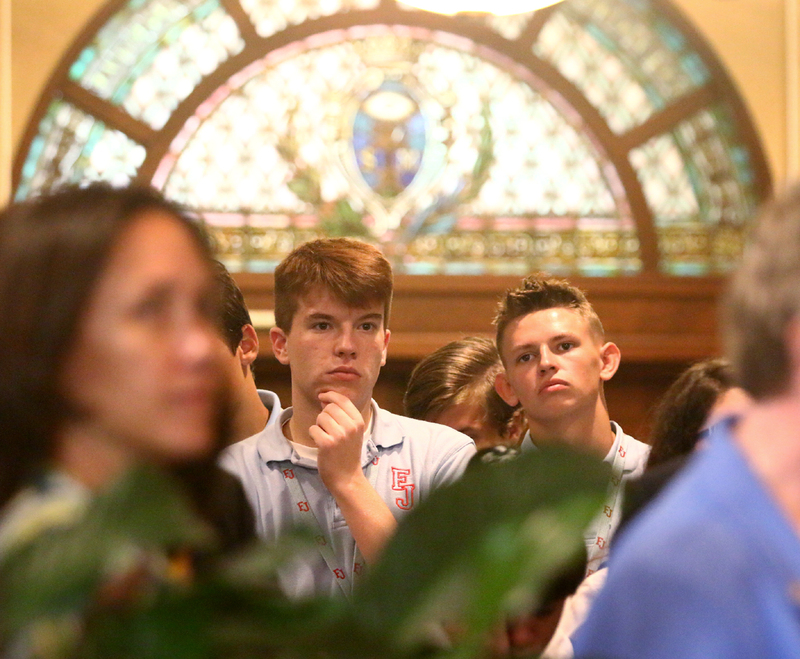 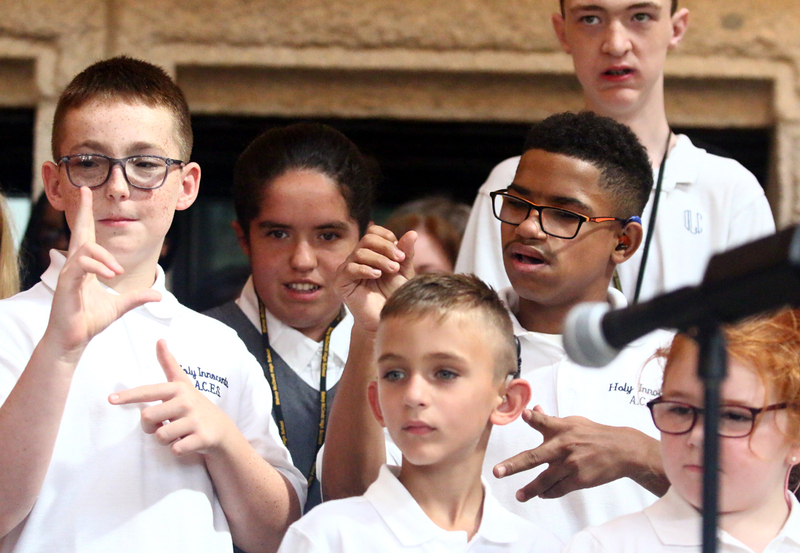 Students and administrators participate in prayers at the Atrium at the National Shrine of St. John Neumann, Philadelphia. Archbishop Chaput gives the blessing after prayers during the pep rally. 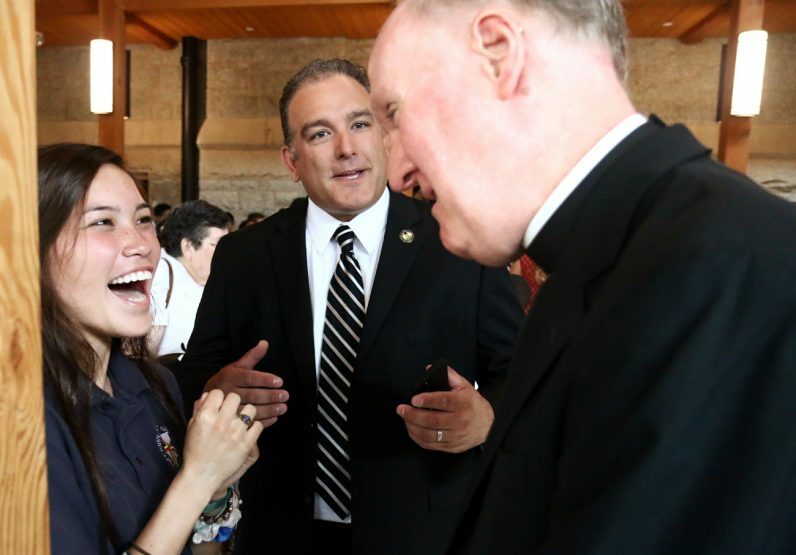 Student Julie Kleinot and Pope John Paul II High School President Jason Bozzone chat with Bishop Michael Fitzgerald after the rally. 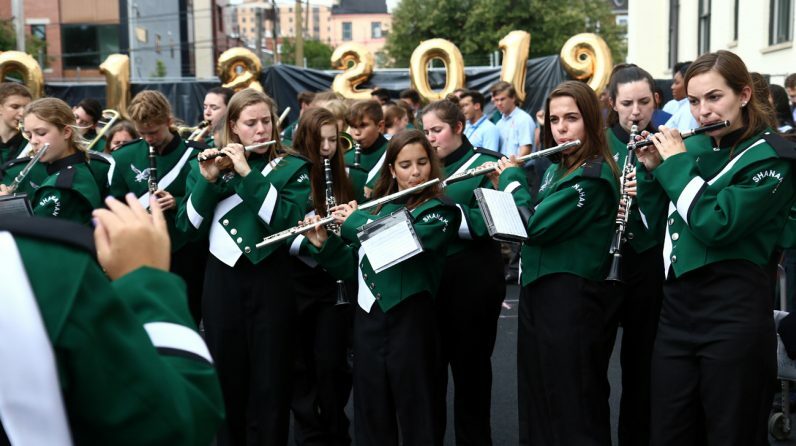 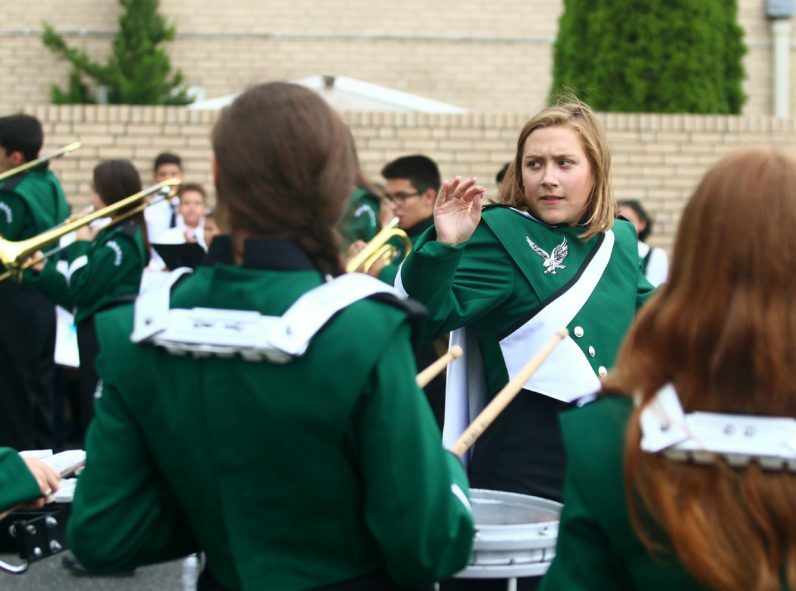 The Bishop Shanahan High School Marching Band performs. 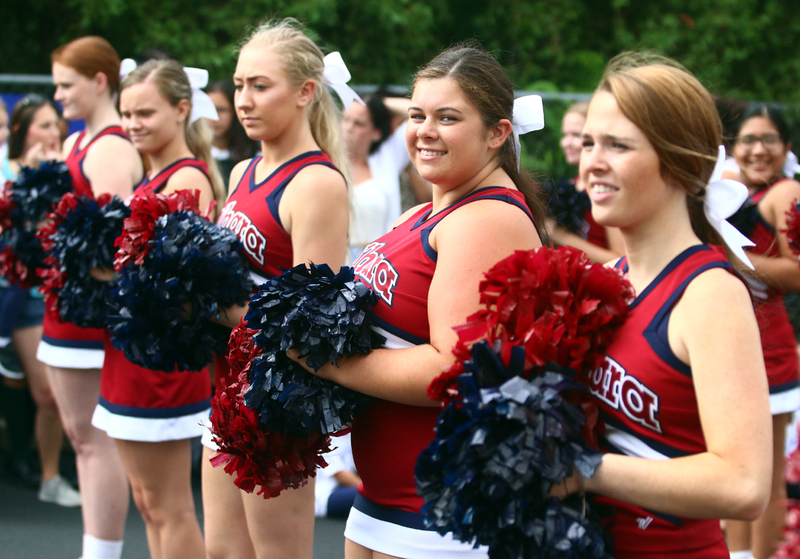 The Cardinal O’Hara High School Cheerleading Team pumps up the spirits of pep rally participants. 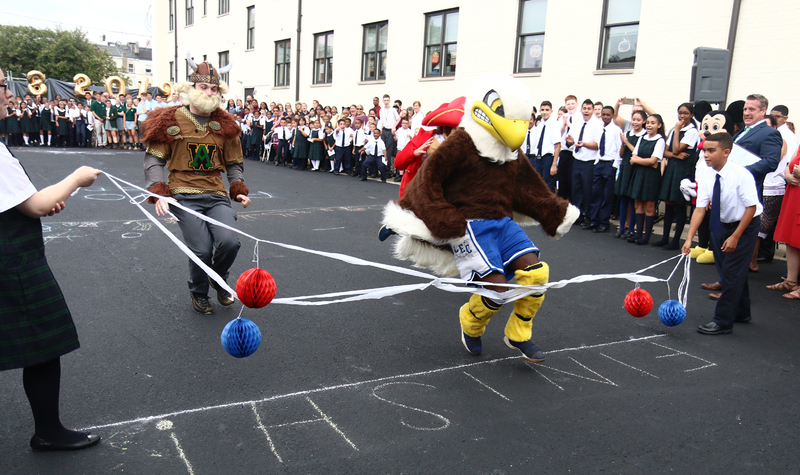 Terome Mitchell, a senior from Conwell-Egan high School, wins the mascot race for his school. 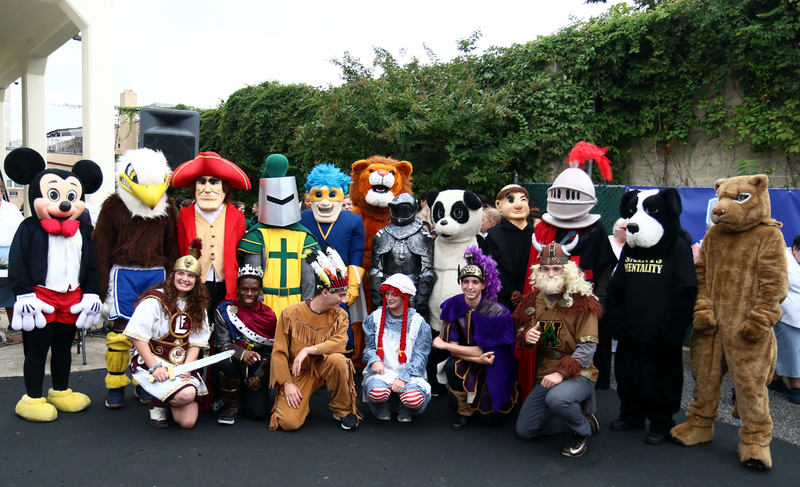 Mascots representing archdiocesan high schools pose for a group photo. 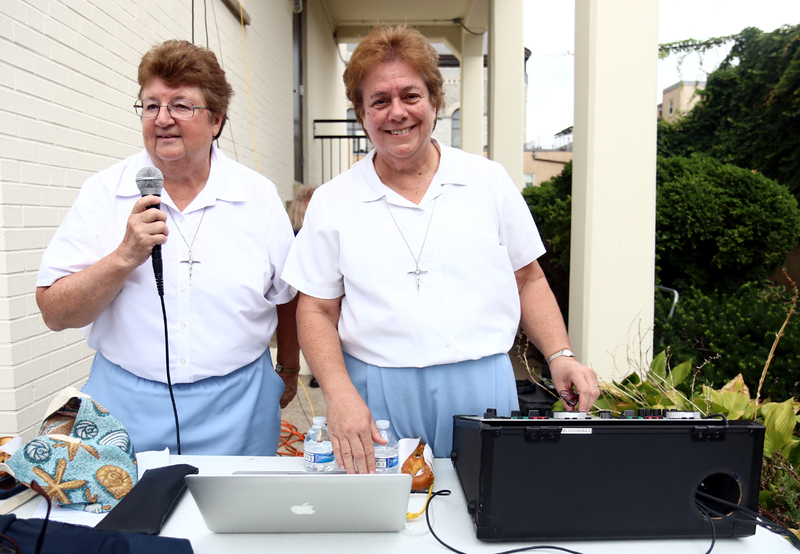 Two Immaculate Heart of Mary sisters serve as DJs at the mixing board.